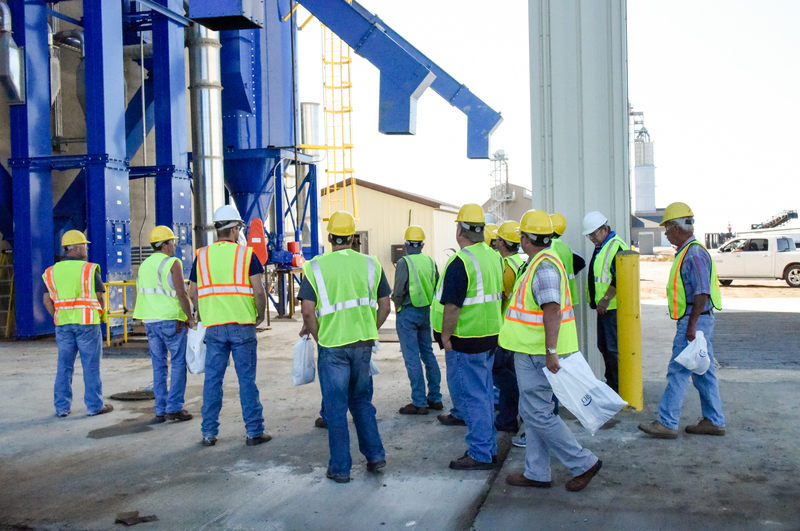 On September 7 nearly 400 people attended the grand opening of CHS Dakota Plains Ag’s new 196-acre campus in Gwinner, N.D. During guided tours guests got a sneak peek at the grain shuttle loading facility with 2.4-million bushel storage, the 27,000-ton dry fertilizer hub plant, with 1,200 ton-per-hour receiving system, and the Red River Valley & Western’s locomotive. Along with tours, the day included a BBQ ribs and chicken luncheon and vendor-partner displays along with the traditional ribbon-cutting and guest speakers. Area FFA chapters took the opportunity to host a dunk tank, raising some $500 for their chapter activities. More than 20 vendors, ag suppliers and contractors set up booths to showcase their products and services, as well as answer questions from attendees. Addressing the crowd were Bill Anderson, Sargent County Commissioner; Nate Asplund, president, Red River Valley & Western Railroad; Kevin Throener, producer board member, CHS Dakota Plains Ag; Mike Johnston, senior vice president, CHS Country Operations; Dennis Novacek, general manager, CHS Dakota Plains Ag. “We are looking forward to pulling many trains of fertilizer in and loading many cars of grain out,” said Nate Asplund, president of the Red River Valley & Western Railroad. He also said the hard-working farmers in the area deserved a facility like this that could help bring them a premium price for their production at the same time it helped them speed up their planting and harvesting with its efficiencies. 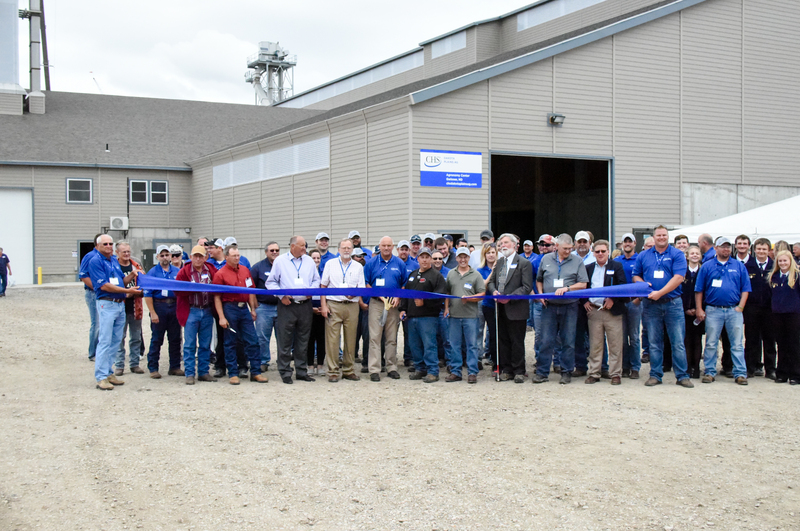 CHS Dakota Plains Ag General Manager Dennis Novacek expressed his appreciation to the employees that helped pull together the day’s festivities, as well as for the confidence CHS showed in the local producer board and staff by approving this significant local investment. “The due diligence and attention to detail that goes into a project like this is a great example of how seriously we take our responsibility to be good stewards of this cooperative on behalf of generations to come,” he said. The fertilizer plant offers a 1,200 ton-per-hour receiving system with 250-ton tower and dual 18-ton weigh hoppers and blenders. The campus includes a 11,500+ loop track with an internal 3,800-foot spur track allow the facility to load 25-car sets from the Red River Valley and Western railroad directly into BNSF shuttle trains. Missed the campus tour? Talk with our team today at CHS Dakota Plains Ag in Gwinner or stop by for a visit. We are excited to show you around. CLICK HERE>> To See all the photos from the event.